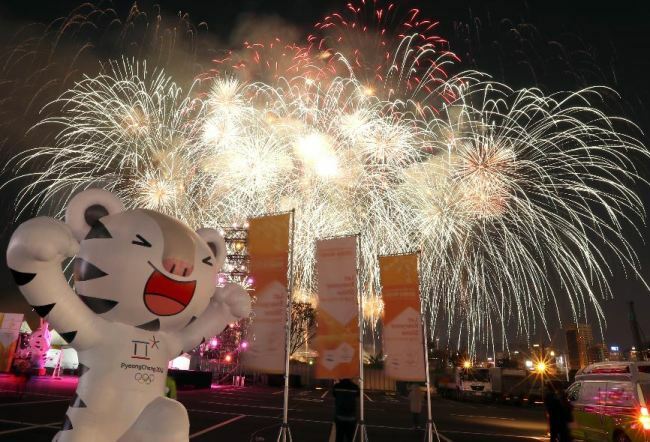 TOKYO -- South Korea is considering making a proposal to North Korea to co-host the 2032 Summer Olympics Games, Seoul’s sports minister said Wednesday. Do Jong-hwan said South Korea is thinking of co-hosting the Olympics with North Korea for regional peace. Do made the remarks during a press meeting in Tokyo ahead of a sports ministers meeting with his Japanese and Chinese counterparts. “It’s a proposal of hosting the events in Seoul and Pyongyang,” Do said, adding that such matters could be discussed at the third summit between the South and North in Pyongyang later this month. For the 2030 FIFA World Cup, Do said South Korea is thinking of co-hosting the top football tournament with Asian neighbors. When asked about a North Korean art troupe’s performance in South Korea this fall, Do said the government had notified Pyongyang about venues and the time period. Do was scheduled to have bilateral meetings with Gao Zhidan, deputy director of the General Administration of Sport of China, and with Yoshimasa Hayashi, the Japanese minister of sports, for expanding sports cooperation between the countries. South Korea, Japan and China agreed to hold sports ministers’ meetings after the three nations were selected as the hosts of three consecutive Olympics in Northeast Asia. South Korea this February staged the PyeongChang Winter Olympics. Tokyo will host the 2020 Summer Olympics, and Beijing will be home to the 2022 Winter Olympics. With Japan, Do said he plans to discuss the participation of unified Korean teams. When asked about the possibility of North Korean leader Kim Jong-un visiting Japan at the 2020 Tokyo Olympics, Do said it is a topic that needs further discussion.